Florida is a swing state where the republican President Donald Trump won in 2016 by 1.4% or by 134.000 votes. The Florida voters have a good handle on the 2 major candidates running for the US Senate seat in November 2018, who are the republican Governor Rick Scott and the current democratic Senator Bill Nelson. Before the most recent widely covered national story regarding the 2/14/18 mass shooting tragedy at a Parkland, Florida high school were 17 souls were lost, there have been 2 significant events since November 2016 starting with Hurricane Irma which landed in Florida in September 2017 and then the Interior Secretary Ryan Zinke who announced in January 2018 that Florida’s coastal waters were open for oil exploration. The biggest fubar that Governor Scott did regarding the 2/14/18 mass shooting, was to prematurely condemn solely the FBI which did drop the ball by not following up on tips from individuals which were shared with the FBI’s tip line, but that was before he was faced with the reality that many Florida governmental employees were also found wanting. However, he has ordered a comprehensive investigation as to how Florida governmental employees did their parts to drop the ball. Currently, he is in the process of attempting to legislate some solutions to prevent future mass shootings. 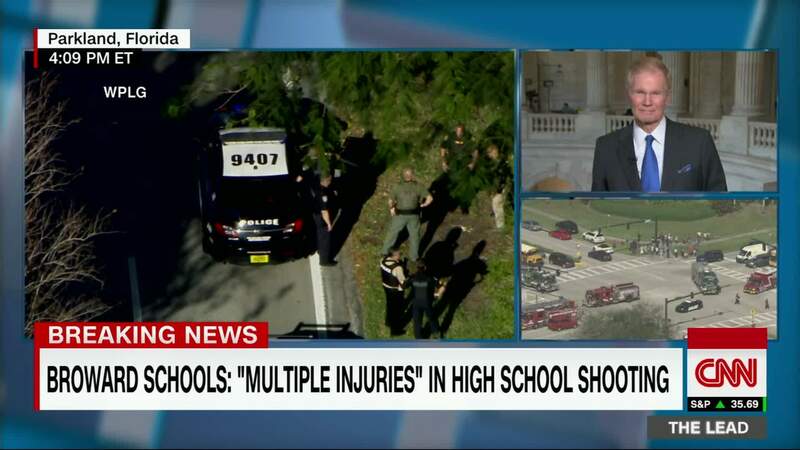 The high school students who were victimized by this have become savvy political activists to force lawmakers to do what is right versus their continuing to kow-tow to the extensive lobbying powers of the NRA (National Rifle Association). 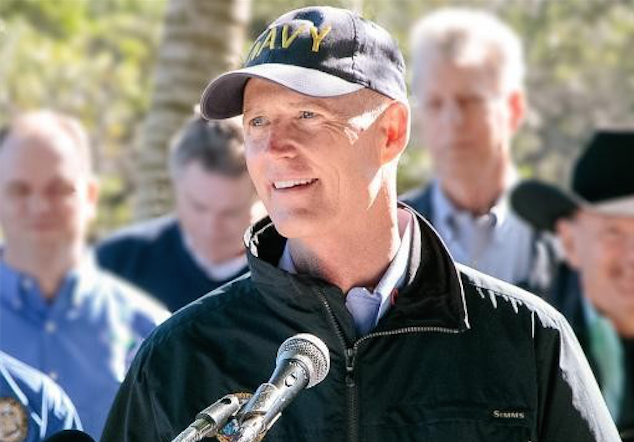 Overall, the republican Governor Rick Scott earned good marks for his handling of this storm, Hurricane Irma in September 2017. The problem with this issue of extreme weather storms is that the republican governor does not believe in climate change science which translates, that if he is in denial he will not prioritize infrastructure improvements for Florida to mitigate against the inevitable negative consequences in Florida. In April 2017, President Trump signed one of his executive orders that aimed to allow for off shore oil exploration off the US coastlines. In real time, Governor Scott was mum on this subject. But then in January 2018, the US Secretary of Interior Ryan Zinke announced his plan to open up more coastal areas in Florida for drilling. 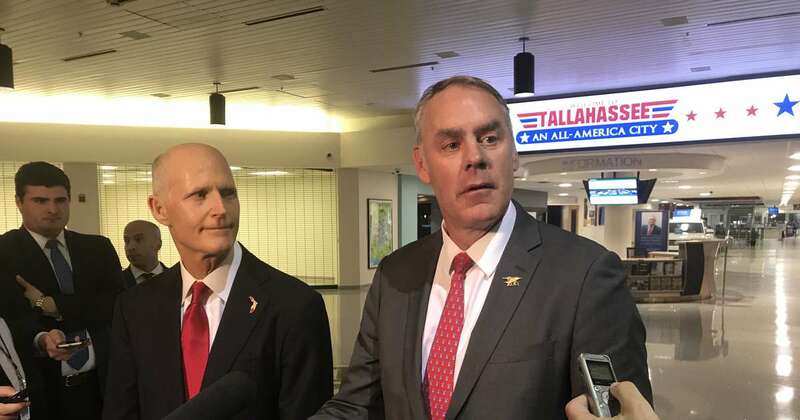 It was then that Governor Scott worked with the president’s administration to fix it where Florida is no longer under consideration for oil exploration projects off the coast of Florida. But the devil is in the details. The Governor Rick Scott did agree to allow for seismic testing which is code for oil exploration testing. PolitiFact Florida has tracked Scott’s stance on oil drilling since his first campaign in 2010. On his campaign website then, Scott called for more drilling offshore but said that the state’s beaches must be protected. A Scott campaign spokeswoman told PolitiFact Florida in May 2010 that his campaign had initially posted his position before the Deepwater Horizon explosion in April and later updated it to add the phrase about the environment and safety standards. Scott never took significant steps toward his promise to explore expansion of drilling in a safe, environmentally sound way. We rated his promise broken in 2013. On Jan. 4, (2018) Zinke announced a proposal to open up more coastal areas in Florida, California and the Atlantic to drilling. Over the next few days, Scott had multiple meetings with Trump administration officials. 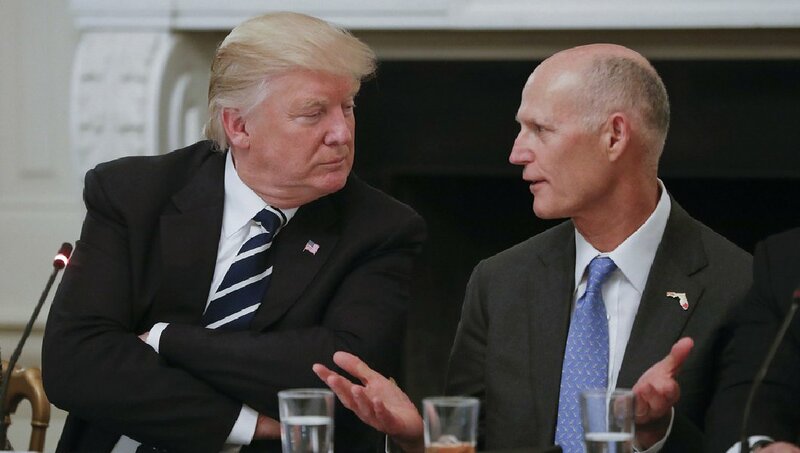 Scott praised the Trump administration for removing Florida from consideration. Oil and gas exploration doesn’t seem to be entirely off the table, though. Zinke said seismic testing still would be allowed, but no new drilling. Susan Glickman, Florida Director of the Southern Alliance for Clean Energy, said the only reason to allow seismic testing is to find places to drill. During his first term, Scott took no meaningful steps to expand drilling. 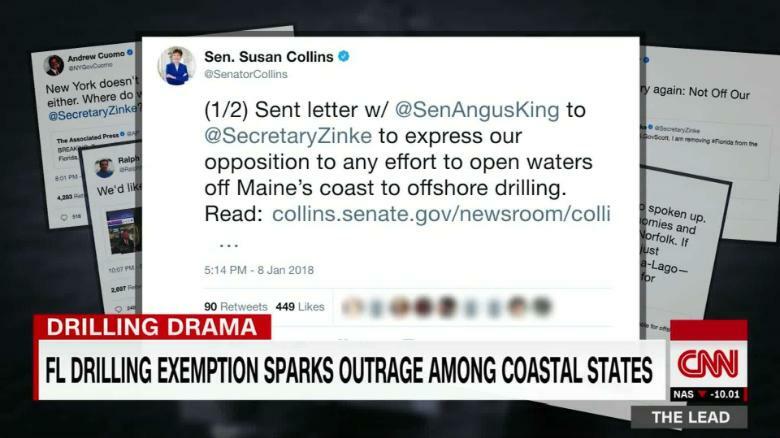 But when Trump’s administration proposed an expansion of offshore drilling Jan. 4, Scott said he opposed the idea and sought a meeting with Zinke. That rejection sounds different from his stance when he first ran for governor in 2010 and he was open to drilling. We give Scott a Full Flop. The U.S. Senate campaign in Florida is a real horse race out of the gate as Democratic incumbent Sen. Bill Nelson has 46 percent to Gov. Rick Scott, the Republican challenger, with 42 percent, according to a Quinnipiac University Poll released today (2/27/18). Sen. Nelson leads 46 – 33 percent among independent voters and 87 – 7 percent among Democrats, while Gov. Scott takes Republicans 86 – 7 percent, the independent Quinnipiac (KWIN-uh-pe-ack) University Poll finds. Republicans approve 81 – 15 percent. Disapproval is 90 – 6 percent among Democrats and 57 – 39 percent among independent voters. In a question which does not name candidates, Florida voters say 45 – 37 percent that they would vote for a Democratic candidate for governor this year. Independent voters go Democratic 39 – 28 percent. 86 percent don’t know enough about Florida House Speaker Richard Corcoran. “In the governor’s race, none of the candidates is well-known. Florida voters can expect massive – and probably nasty – TV advertising as the candidates for governor try to introduce themselves, and their opponents, to the electorate,” Brown added. From February 23 – 26, Quinnipiac University surveyed 1,156 Florida voters with a margin of error of +/- 3.6 percentage points, including the design effect. Live interviewers call landlines and cell phones. These midterm election should prove telling how the American public feels about this administration. Alot could change by Nov if we all do our part. Stay diligent everyone. The special elections have favored the democrats. Since Mr. Trump’s presidency, 39 elected seats have flipped from republican to democrat, while republicans have only done this 4 times. With all the bad news we have been hearing recently, isn’t it time we get to read a news article that will bring out a laugh from most of us? Enjoy! Thanks for the reference. I hope they find the culprit. I’ll probably end up blogging on the story as it did make me smile. . The GOP seem to miss the point that for a sustained success there has to be an element of reaching out, not just ensuring their own voting bloc is enthused to get out and vote. The republicans haven’t figured out that they cannot have everything on their terms always. This is especially true when they act against the wishes or the best interests of their voters. Eventually they’ll figure out that they have to learn to play well with others.